When you are appointed to administer a loved one’s estate, you may be required to defend an attack on the validity of the Will or Trust. If a beneficiary files an objection, you should contact us immediately for assistance. It is normal to be concerned with what it will cost to defend such an action, but having us on your side will actually help with reducing the overall expenses while also safeguarding the best interests of the estate and its beneficiaries. In fact, we have discovered that in many cases, getting the attorneys involved can lead to quicker negotiations and settlements outside of the courtroom. Understanding your legal rights and options is critical to acting under these circumstances. Often the administrator must remain a neutral party and the beneficiary’s have to conduct the litigation or contest. Let us review the case and the objection being lodged against the Will or Trust. We can provide you with an estimate of what we anticipate it will cost to defend the action. As experienced estate planning and probate litigation attorneys, we can help you protect the assets of the estate, save the estate money by keeping costs under control, and ensuring that you do not incur any personal liability. Astill Law Firm and its attorneys have the highest peer rating for competence and ethics from any lawyer rating system (Rated AV from Martindell-Hubbell, the oldest and largest attorney rating system). Additionally, Mr. Astill is ranked among the Utah Legal Elite in Estate Planning, and is among the Top 100 attorneys in Salt Lake area (Utah Business Magazine annual survey). Don’t put the estate or yourself in jeopardy by trying to save a few dollars. Let us help. What if an Heir Dies First? When it comes to administering a loved one’s estate, you are likely to be faced with a broad range of issues. As a result, you should confer with a seasoned estate planning attorney to ensure that you comply with the law and that you do not incur personal liability. One of the most significant problem areas for estate administrators occurs when it comes to distributing the assets of the estate. For example, what should happen if an heir dies while the estate is being administered? All estate administration cases are unique and depend on the terms of the will or trust. In general, if a beneficiary is not related to the deceased by blood, then depending on when they died, his or her gift lapses or fails. This means that it becomes a part of the residue of the estate and will be distributed as provided in the estate planning documents. In order for an inheritance to be distributed to the beneficiaries of the deceased heir’s estate, a separate probate case may need to be filed for the deceased heir, depending on the type of assets and the value of the decedent’s estate. We know that these types of issues are complicated and we are here to help. The Astill Law Office has provided high quality legal services for over 30 years. We specialize in wills, trusts, estate planning, and asset protection. If you have any questions about creating a Trust, Will, or estate planning in general, contact The Astill Law Office at 801-438-8698. If you have a loved one with special needs, you know that it can be physically, mentally and financially demanding to care for them. It can also be extremely nerve-racking to worry about who will take care of the special needs individual when you are no longer able to do so. To find peace of mind, it is important for you to take action now to insure that your loved one will be not only provided for, but also properly cared for after you are gone. One of the most effective tools for protecting an individual with special needs is to establish a special needs trust. One of our estate planning attorneys can walk you through the process and make sure you understand all of your options. However, one of the most difficult decisions to make is often selecting the trustee for the special needs trust. There are a wide variety of government programs that provide benefits to disable individuals. However, these programs typically determine the individual’s eligibility based upon financial need. As a result, it is vital that you carefully plan how any money or assets are given to your loved one to ensure that he or she is not disqualified from receiving the much-needed government assistance. By creating a special needs trust and working with an experienced estate planning attorney, you can provide assistance and financial support to your loved one in addition to the government benefits he or she is already receiving. When it is time to choose the trustee to administer the special needs trust, it is important that you select someone who is familiar with the laws and guidelines involved in state and/or federal programs. Or, if the person you appoint is not experienced in these types of matters, make sure he or she has the assistance of your estate planning attorney. If the trustee spends the funds of the special needs trust improperly, it could put the beneficiary at risk of losing his or her eligibility in the government programs. Don’t let all of your hard work to provide for your loved one be put in jeopardy. Contact one of our knowledgeable attorneys for the advice and guidance you need in creating a special needs trust and choosing the right trustee to manage it. You might be surprised to learn that if you read a loved one’s estate planning documents and they seem “off,” it could be because they are fraudulent. All too often, the elderly fall victim to scams or con artists taking advantage of them. If fraud occurred in the creation or amendment of your loved one’s Will or other estate planning documents, a beneficiary or heir may have grounds to lodge an objection to the validity of the estate plan. Proving fraud when challenging a Utah will requires you to be able to submit substantial evidence that fraud occurred. Thus, if you suspect your loved one was the victim of fraud, it is imperative that you confer with a knowledgeable attorney to help you understand your legal rights. One of the first issues to be determined is whether you have “standing” to file an objection to the will. If you are an heir that stands to inherit from the deceased under the law (if the deceased had died without a will) or a named beneficiary, you have standing. Another issue to address is whether you can prove that your loved one’s will would have read differently, had the fraud not occurred. In other words, you must show that your inheritance was negatively impacted by the fraud. You must also be able to prove that the deceased relied on the fraud or misrepresentation when the will was created. We can assist you with establishing that the deceased would not have executed the will had he or she been aware of the fraud. Finally, you must provide evidence to the court that the person that committed the fraudulent conduct did so intentionally. This is often demonstrated by the fraud resulting in the fraudster inheriting money or property from the deceased. A valuable and persuasive piece of evidence in contesting a will is to submit a copy of the prior estate planning documents signed by the deceased. Additionally, any proof of the deceased’s state of mind at the time the will was executed can be helpful. If you are considering objecting to a loved one’s will, we can help. The Astill Law Office has provided high quality legal services for over 30 years. We specialize in wills, trusts, estate planning, and asset protection. If you have any questions about creating a Trust, Will, or estate planning in general, contact The Astill Law Office at 801-438-8698. Trusts provide you significant flexibility in controlling when, how and who inherits your assets. Trusts allow your loved ones to avoid the time-consuming and expensive probate process. Trusts help ensure that your affairs remain private. 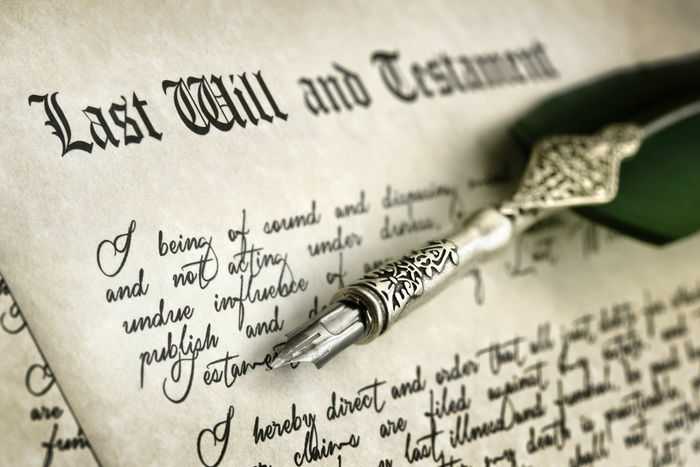 A will that is submitted for probate usually becomes a matter of public record. Trusts can provide a means for avoiding certain taxes. A living trust permits you to choose another party to manage your financial affairs if you should become incapacitated and unable to handle them yourself. A living trust can avoid certain claims that could be made in a probate estate. It is important to understand that you will not receive the benefits of a trust if it is not properly “funded.” In other words, you must transfer your property and assets out of your individual name into the name of the trust. This means that the trust becomes the lawful owner of your property and assets. Common examples of property and assets that should be transferred into a trust include real property, business interests, bank accounts, investment accounts, royalty contracts, patent/copyrights, antiques and other valuables. Generally speaking, you should transfer your most valuable assets into the trust. When you create a trust, you should also create a “pourover will.” This type of will provides that anything you did not specifically transfer into the trust is “poured” over into the trust upon your death. In effect, it is a catch-all to make sure all of your possessions are transferred into your trust. Most families who have a loved one fall victim to elder abuse claim they never thought it would happen to them. Sadly, elder abuse is a growing problem. Con artists are getting more creative and better at their job, making it more difficult for families to discover an elderly loved one has been taken advantage of until it is too late. The above are just a few examples, but financial abuse is any act by a person who scams an elderly person for his or her own financial gain. Unfortunately, anyone in a senior citizen’s life could take advantage of him or her. The elderly are naturally more vulnerable because they are usually dependent on others. This opens the door to predators seeking to illegally gain a profit. Additionally, family members facing financial struggles may see the older person’s wealth as their inheritance, so they believe they have the right to take advantage of it now. Further, if an individual serves as the senior’s caregiver, he or she may feel entitled to take what they want. If you have an older loved one that is lonely, isolated, facing physical or mental disabilities, or exposed to people with financial struggles, he or she has an increased chance of becoming a victim of financial abuse. Many older individuals are reluctant to report abuse because they are embarrassed or worried it will cause them to lose their independence. In most cases, by the time the senior or his/her family realizes the scam has occurred, it is too late to do anything about it. If you would like assistance with protecting your elderly loved ones and taking action to prevent financial abuse, contact us today. The Astill Law Office has provided high quality legal services for over 30 years. We specialize in wills, trusts, estate planning, and asset protection. If you have any questions about creating a Trust, Will, or estate planning in general, contact The Astill Law Office at 801-438-8698. Why is Estate Planning such a Big Deal? You want to protect your family. If you fail to create an estate plan and you die, your loved ones are left with a big mess. Not only can financial disputes occur, probate can be time-consuming and costly. Your estate plan can not only safeguard your assets, but it can also provide your loved ones with peace of mind and guidance once you are gone. You want to save money. Sadly, many people postpone creating an estate plan because they think it will be too expensive. The cost of creating a comprehensive estate plan is minimal when compared to what can be lost financially if you die without a plan in place. Your estate plan can provide asset protection, save on taxes, and prevent litigation expenses. Consider this: in one estate we read about recently the husband died leaving a business owned by two sons and a mom. It has easily cost the family over $500,000 in fees and has taken more than four years to get resolved and the family will never heal. Another case recently reviewed showed that a girlfriend of 18 months, much younger than the decedent, sued to become the common law spouse and inherited millions in property. You want peace of mind. Once you create an estate plan, you will have the peace of mind that you are saving your family from stress and conflict. It will also give you the comfort of knowing that your own future and senior care is planned and provided for. By creating power of attorney documents and a trust, your loved ones will be equipped to handle your long-term care without the time, cost, and stress of going to court to obtain authority to manage your affairs. There are many other reasons to create an estate plan, but they all center on the three goals outlined above. Whatever you want to accomplish in your estate plan, we can help. When you think about creating an estate plan, you probably think about a Last Will and Testament or a trust. However, an equally important part of your estate plan is the power of attorney (POA) document. A POA addresses matters that are not covered by a Will or trust. The POA document is applied while you are still living and it ceases to be effective upon your death (yes – that’s right, a POA terminates when the person dies!). As a result, it is an important document to have as part of your estate plan. Don’t get confused when considering a POA. Many people think of their health care decisions when considering a POA. Under current law, a POA only works to assist you in managing financial affairs. An Advanced Health Care Directive (“AHCA”) is needed to assist in health care decisions. When you appoint a POA over your property, it allows the appointee to have authority over your assets. This means your financial POA can access and manage your finances and also safeguard your assets. You can set forth what your appointee can and cannot do in the POA document. Most financial POA’s are granted broad authority. It is important to understand that the POA document may provide that it is not effective until you are mentally incapacitated. You can also make it effective on the day you sign it. We usually recommend it be effective immediately, unless the person you are appointing is not someone you feel comfortable giving immediate authority. Whatever approach you take, it is essential that you appoint someone that you trust and that will have the ability to effectively manage your finances. An AHCA can grant authority to another person to make medical decisions on your behalf if you are unable to make those decisions for yourself. This includes decisions regarding your medical care, hospitalization and long-term care. In some cases, your physician may have to determine whether you are unable to make medical decisions for yourself. Most of the time it is obvious. Your AHCA provides you flexibility to set forth your wishes regarding end-of-life care or your wishes regarding certain treatments. The law requires that your express wishes govern your care and your health care agent must abide by your wishes as set forth in the AHCA. If your AHCA document does not address certain matters, your Agent will make the decision based upon what he or she believes is in your best interests. If you are interested in learning more about power of attorney documents or other estate planning matters, call us for an appointment. The Astill Law Office has provided high quality legal services for over 30 years. We specialize in wills, trusts, estate planning, and asset protection. If you have any questions about creating a Trust, Will, or estate planning in general, contact The Astill Law Office at 801-438-8698.